Audi a3 s3 8p tt 8j vw golf 5 6gti seat leon 1p cupra 2.0t tfsi sump. This product page has been automatically translated. If you have any questions, do not hesitate to contact us. Replacement parts & car repair. 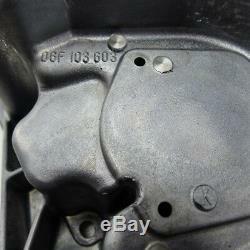 Audi a3 s3 8p tt 8j vw golf 5 6 gti seat leon 1 p cupra 2.0 tfsi t engine oil sump. Model: type a1 8 x (2010). 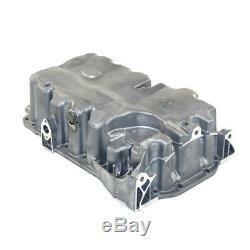 Audi a3 8 p original 2.0 t oil sump. For 2.0 t engine: 147kw (axx, bwa), 162kw (cdlj), 169kw (byd), 173kw (cdlg). 177kw (bwj, cdld), 188kw (bzc, cdlc, cdlh), 195kw (bhz, cdla, cdma). No hole for the oil level sensor! 06f103603k, 06f 103 603 k, 06f103601m, 06f 103 601 m. 06f103601l, 06f 103 601 1, 06f103601j, 06f 103 601 j.
Oem number (s) of room. Right of return for 1 month. E-commerce as I want it. The item "audi a3 s3 8p tt 8j vw golf 5 6gti seat leon 1p cupra 2.0t tfsi sump" is on sale since Wednesday, January 30, 2019. 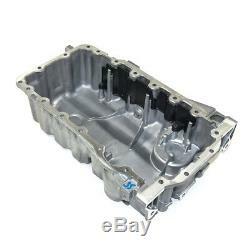 It is in the category "auto, motorcycle parts, accessories \ auto \ spare parts \ engines, engine parts \ oil pan ". The seller is "4yourdrive" and is located at markersbach. This item can be delivered anywhere in the world.